Luka was a great friend to me. We went hiking and /or running together every day. He comforted me when i was having a bad day. Luka always wanted to play his favorite game.. soccer. 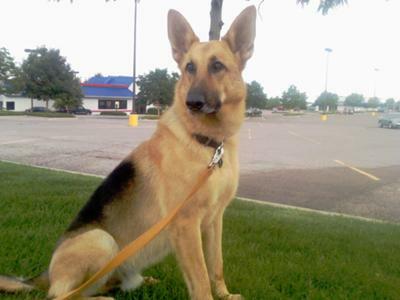 I loved him so much and still do....He was 4 years and 10 days old when he suddenly died due to his intestine twisting over itself..
First of all, let me say right up front to Karri, how sorry I am for your loss of your German Shepherd Dog, Luka.